Black Dragon Martial Arts and Wellness Center Opens in Downtown Sault Ste. Marie Michigan | Downtown Sault Ste. Marie, Michigan! Black Dragon Martial Arts and Wellness Center will hold its grand opening at 111 W Portage Avenue, Sault Ste. Marie, Michigan on Monday, July 4, 2016. Open to the public, the event will begin at noon with the first 30 attendees to receive two weeks of complimentary training. Bringing Martial Arts and Yoga to Downtown Sault Ste. Marie, The Wellness Center will hold its grand opening on Monday, July 4th starting at noon. The opening will feature public demonstrations of Martial Arts in action and cheer on students of all ages as they perform feats of board and brick breaking. Attendees will be able to watch and learn techniques in Yoga, Tae Kwon Do, Judo and Escrima. Located on the second floor of the historic Alpha Addition building at 111 W Portage Avenue in Sault Ste. 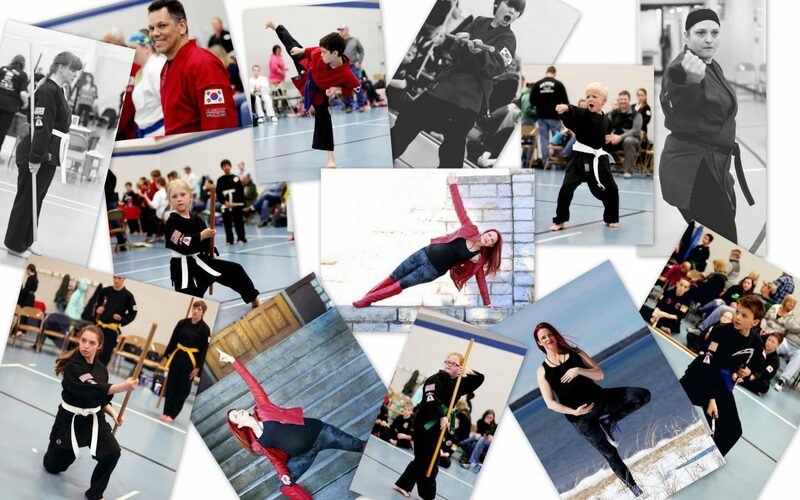 Marie Michigan, Black Dragon Martial Arts is led by Master (4th Dan) Tina Fuller and Senior student Kevin Saucedo. Its training curriculum includes Tae Kwon Do, the art of hand and foot, Judo and Escrima. Each class features strengthening and stretching exercises, basic drills, forms (hyung), and practical, situational self-defense techniques. Classes at the center includes Yoga instruction by Amy Mc Coy, owner of Bumble Bee Yoga, which will be offering training in Hatha Yoga, Family Yoga, Yoga for kids, 12 Step Yoga and eight limb inclusive. For adults, whether you’re new or seasoned, the martial arts or yoga offers the perfect activity. You’ll relieve stress, gain confidence, improve your physical conditioning, and learn how to defend yourself and your family. The adult and family classes will not only be a fun way to get in shape, but with the introduction and practice of yoga, also holds the advantages of stress-relieving meditation, a whole new way to look at life’s challenges through applied practical philosophy. For kids, Black Dragon Martial Arts goes way beyond teaching children how to defend themselves. It is a leadership development program that teaches life-lessons and character development for making the right decisions now and in the future. The benefits are numerous, including a reward system that improves children’s self-esteem, a class structure that teaches discipline, activities to channel aggression, confidence-building skills and lifetime self-defense skills. Located in Downtown Sault Ste. Marie, the new center will serve residents in Pickford, Rudyard, Kinross and Brimley and more throughout Chippewa County and Canada. Master Tina Fuller stated, “As a member of Black Dragon Martial Arts and Wellness Center, the focus, concentration, awareness and confidence you’ll gain from training in either the martial arts or yoga will give you the skills you need to handle most situations when you feel under pressure or stressed.